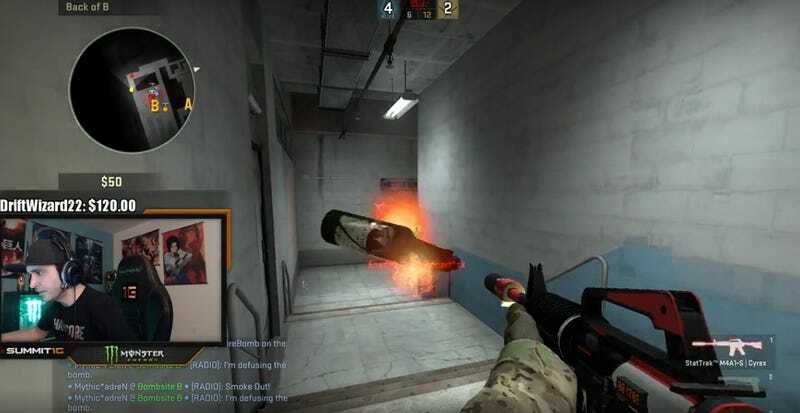 One year ago, popular streamer Jaryd “Summit1g” Lazar dropped the proverbial ball off a cliff when, while subbing on a pro CSGO team, he managed to lose a round he’d basically won by walking into his own molotov. The moment became infamous overnight. Now, though, Summit has redeemed himself. With his face. Skip to 1:29:30 to see the moment unfold. A member of the other team hurled a molotov intended to give Summit’s team a lot of trouble. They did not, however, count on Summit barreling down the hallway and blocking the molotov with his face. Neither did Summit, for that matter. Then he referenced the 2016 molotov incident, which he once called “the most embarrassing thing that’s ever happened” to him. After his team won the round, he turned to the camera and shouted, “I’ve conquered it!” His team whooped and cheered. “Get fucked, molotov,” Summit added.